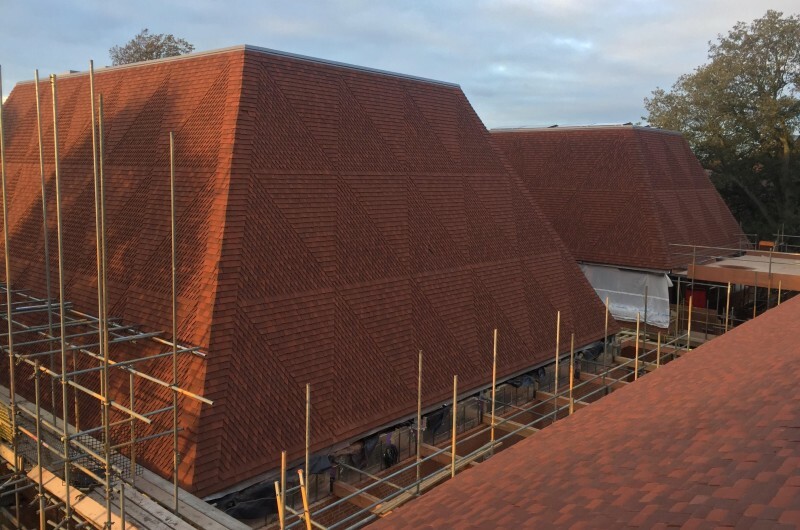 Construction is progressing well on the new music school at King's College School Wimbledon. The roofs are now complete, and scaffolding is coming down as we move towards getting the building watertight. The project is designed to consolidate music teaching, practise and performance spaces into three linked but individual buildings at the front of the school campus. It is due for completion next year.